Our late son Max was the beneficiary of the dedicated Teachers and Mentors of the Blue Valley West High School Study Skills Program. Faculty involved in this program spend countless hours offering students with learning disabilities specialized curriculum and study skills instruction to ensure they complete their high school education. 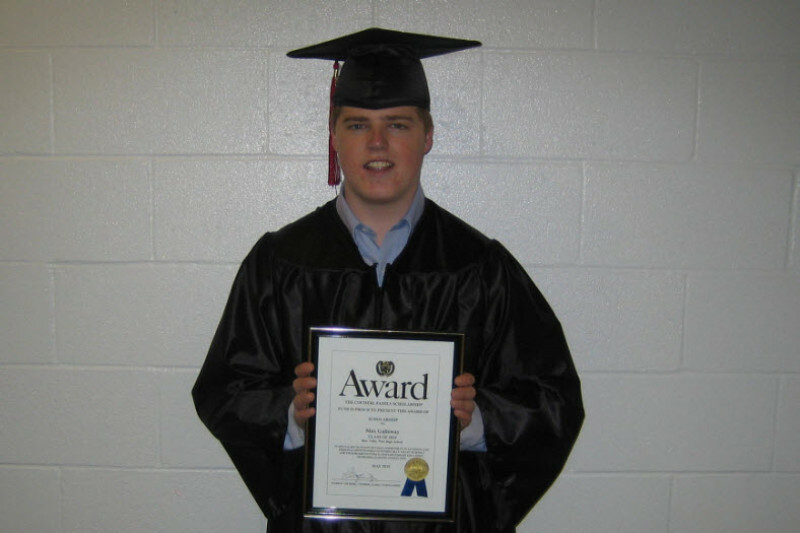 Due to the dedication and love of the Study Skills Staff at Blue Valley West, Max was a successful High School Graduate. In addition, he was nominated and achieved a Junior College Scholarship through the Cocherl Family Foundation to attend Johnson County Community College. In memory of our incredible son Max, and his achievements through this life changing program, we are creating this memorial in his honor to insure the continued success of students with special needs at Blue Valley West High School. This Memorial Fund will provide graduating seniors with learning disabilities a one time scholarship in order to get them started with and help them pursue their post secondary education. To the devoted Teachers in the Study Skills Program, we are eternally grateful. Thank you for helping us improve the lives of students needing additional love and patience. We would like to express our deepest gratitude and appreciation for your generous contributions to this Max Galloway Study Skills Memorial. We have significantly exceeded our goal and have funded the scholarship through the Blue Valley Educational Fund to award the first recipient in the Spring of 2018. This gift will give future students like our Max the same kind of support and recognition he received through this wonderful program. Thank you and best wishes to all of you and your families.